The recent Landlord and Tenant Board decision follows a March CBC Toronto investigation that exposed how multiple condo owners' units were being listed on the home sharing website by a "host" who claimed she worked for a local property management company. 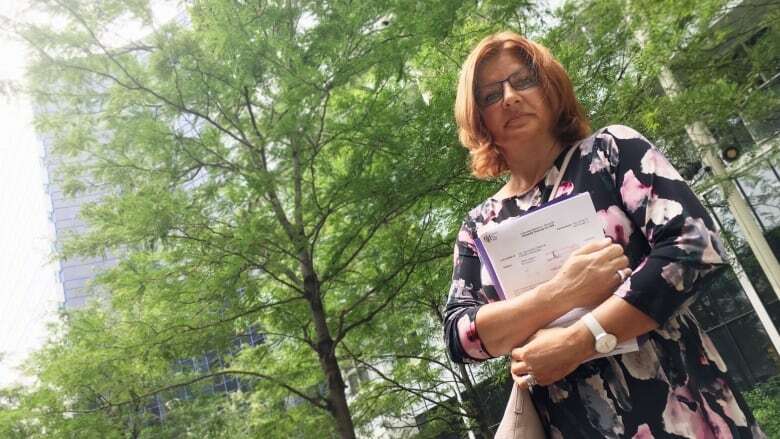 A Toronto landlord who discovered her condo unit was being rented out repeatedly on Airbnb — behind her back by someone tied to a property management company — has won her case at the Landlord and Tenant Board. The recent decision follows a March CBC Toronto investigation that exposed how multiple condo owners' units were being listed on the home sharing website by a "host" who claimed she worked for a local property management company, which prompted calls for more regulations. "Justice is slow but sure," said condo owner Sanda Jovasevic. Jovasevic spent thousands of dollars fighting for compensation for damages she believes were caused by at least 70 Airbnb guests — and to evict a tenant she believes never actually moved in. The Landlord and Tenant board has ordered the tenant to pay Jovasevic roughly $4,400, and she confirmed her legal team has since received the money. That decision also stated the tenant's agent was not "credible" on the witness stand and provided testimony that was "demonstrably untrue" during the hearing in May. The whole ordeal started back in 2016. Jovasevic and her husband agreed to find a long-term tenant in May for the downtown condo she had purchased as an investment for their retirement. 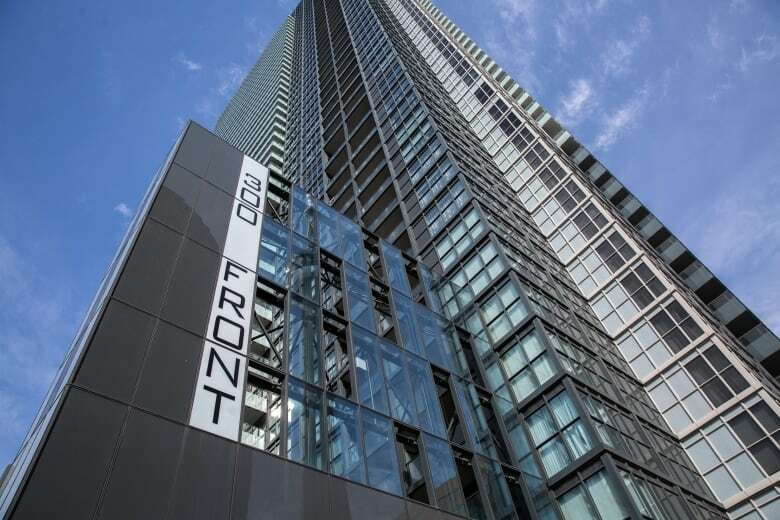 She used a real estate agent in the hope of finding the ideal renter for the unit at 300 Front Street West, a highrise near Toronto's iconic CN Tower. The couple never met the tenant, allowing the real estate agent to broker the deal instead, but the man seemed like a safe bet: He provided a reference letter saying he worked as an accountant for a Toronto property management company called Zahra Properties. And, for the next year, the pair was worry-free as monthly rent payments of $2,100 kept coming in. But in early 2017, strange occurrences started happening. First, a call from the concierge, telling Jovasevic the unit's door was wide open; later, another call about a noise complaint involving two Airbnb guests staying in the unit. Jovasevic learned the unit was indeed listed on the home sharing service by a host named "Sofia," and it had more than 70 reviews dating back to 2016. It was also just one of more than 10 listings by that same host, which had roughly 700 reviews combined as of March 2018. Jovasevic told her tenant she was going to inspect the unit, but the man never showed up. Instead, a woman who said she was a representative for Zahra Properties — the same company listed as the tenant's employer — came in his place. In emails provided by Jovasevic, the same woman identified herself as a property manager with Zahra Properties and referred to the tenant as her "client." 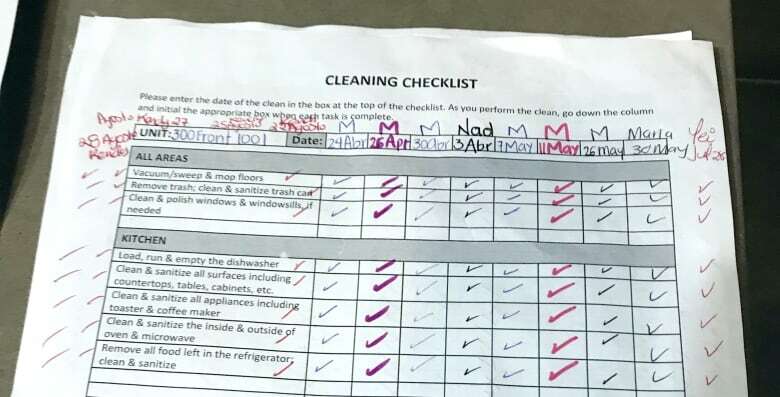 During the inspection, Jovasevic took photos of the unit's empty closets and fridge, and the dated checklists she believes were left by cleaning staff. Later that month, Jovasevic entered the unit again for another inspection, and instead of her tenant, she found a woman from the U.S. who said she was renting the unit through Airbnb for $266.17 US for a two-night stay. After that, Jovasevic issued a notice to end the tenancy, writing that her condo was "rented out for the short-term rentals without [her] consent." A subsequent CBC Toronto investigation uncovered a second condo owner's unit was also being rented out by "Sofia" on Airbnb without that owner's knowledge. 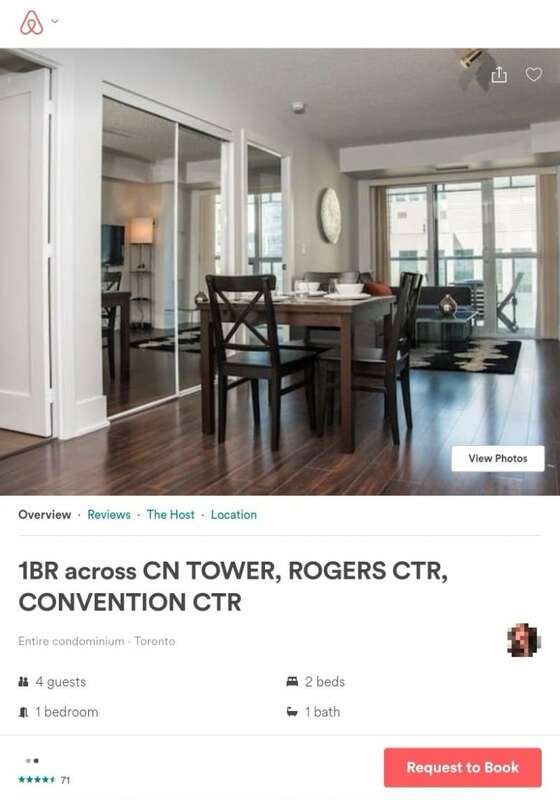 After attempting to book Jovasevic's condo unit on Airbnb, "Sofia" met CBC Toronto journalists and said she was a representative for Zahra Properties, then provided the keys to a different unit. The woman listed as the owner on property records confirmed she had a tenant for the condo — which turned out to be the same man as Jovasevic's condo — and had no idea it was being rented out on Airbnb. That owner told CBC Toronto her tenant has since moved out after she asked to terminate his lease. Months after Jovasevic's ordeal began, she finally faced her tenant's legal team at the Landlord and Tenant Board in May. She had applied to evict her tenant and receive compensation for "undue damage" in the unit. The tenant had countered with an application claiming Jovasevic had harassed him and entered the unit illegally. The tenant's application was dismissed by the board, and he was ordered to pay more than $4,200 to Jovasevic as compensation, and cover her $175 application filing fee. In the decision, the board's vice-chair Ruth Carey noted that the tenant's agent said she was a property manager for Zahra Properties, which Carey only refers to as "ZP." The following details come from that document. The agent told the board that she knows the Airbnb host "Sofia" but said the host doesn't work for the company, and is merely a contractor doing work for them. The agent also said after the last CBC Toronto story was published, "Sofia" was "spoken to about her misrepresentation." The agent also said she "overheard people in her office" discussing the Jovasevics' behaviour towards the tenant after learning the unit was being rented out on Airbnb, and said the tenant was in India at that time so she "decided to help him out." Despite calling him a "client" of hers in an email, the agent said that was a "mistake," and that he was never a client of Zahra Properties but rather she was helping him "on her own time." The tenant's agent also said after movers finished emptying the unit in February, one of the items Jovasevic cited as undue damage — the knobs on the stove — were actually in "perfect working order." However, the agent's own photos of the unit provided as evidence show the knobs were broken. Carey's decision also notes the tenant's application to the board was paid for on a credit card belonging to the owner of Zahra Properties. Based on the agent's email, the filing fee paid by Zahra Properties, and the photographs entered as evidence, Carey concluded the agent "is not telling the truth when she says she did all of it as a favour" for the tenant. Speaking to CBC Toronto by phone, the owner of Zahra Properties, Afzal Nathoo, said "it has nothing to do with my company." "An employee can do anything. My employee can go and commit a crime; that doesn't come back to my company, does it?" Nathoo continued, when pressed for comment on his employees' involvement. "Nothing was committed from my company's point of view." 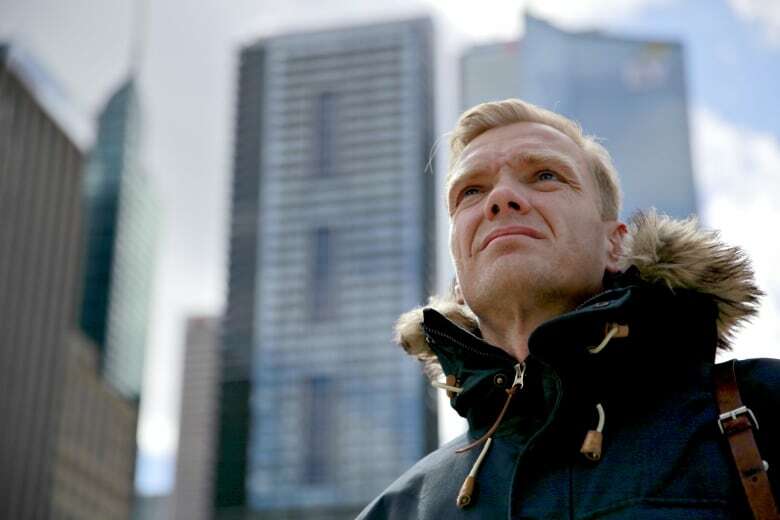 The kind of scenario Jovasevic and other landlords have experienced speaks to the need for more regulation of home sharing services "to protect neighbours and actual owners of properties that were never intended to be used as tourist accommodations," said Thorben Wieditz. Wieditz is a researcher with Fairbnb, a national coalition of organizations focused on establishing fair regulations for short-term rentals, and among those frustrated by Toronto's delay in implementing proposed rules surrounding the use of services like Airbnb. City rules that would restrict listings to principal residences were expected to come into effect on June 1, but multiple appeals to the Ontario Municipal Board have led to a hearing scheduled for the end of August — and regulations aren't expected for weeks or months after the board's decision. That's unfortunate, according to Wieditz, because situations where the unit's host isn't the legitimate owner can also be dangerous for guests, including tourists. "You don't have any accountability or transparency. You don't know who you're renting from. You don't know if these places are safe," he said. As for Jovasevic, she considers the months-long process to evict her tenant a learning experience — and said when it came to picking her new tenants, she made the selection herself instead of relying on a real estate agent to vet the candidates. "I learned a lot from this process. It was time-consuming. It was emotional," she said. "I hope I will not go through this again, and I hope no one else will."